We love to help people get unstuck, activate their spirit, & live boldly! Episode 003: We Are Not Meant to Live From Our Brains! Have you been thinking about doing something new? Perhaps deciding to finally go after your dreams after all, but not sure where to start. Maybe, just maybe, the simple answer is to take the first step in faith and figure it out along the way. 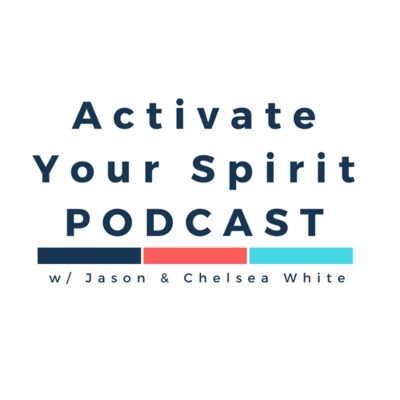 We’re Jason and Chelsea White and we’re excited to welcome you to Activate Your Spirit Podcast.